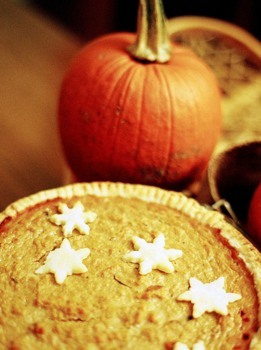 Christmas foods vary from place to place. it again depends on the availability of food materials and special preparations of the locality. It also depends largely on the local culture. 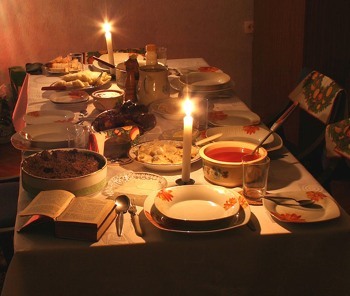 In many Eastern European countries people fast prior to Christmas. On the Christmas Eve, however, they eat an elaborate meatless dinner. 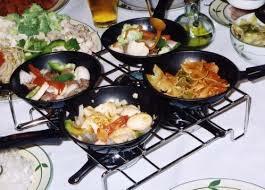 This comprises several sea-food dishes. On the Christmas day they eat a luxurious dinner with various fowl roasts. Duck and Turkey are more popular. This is eaten with delicious wine and plenty of vegetable preparations. In Czech Republic they fry carps for Christmas and prepare special Christmas biscuits. In Finland the Christmas dinner is made of seasonal vegetables. The main dish is ham eaten with mustard or bread. They also have many other side dishes. 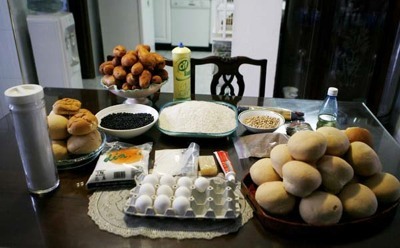 The other food items that are served are fish, potatoes, casseroles with liver and raisins, rice and carrot. This is washed down with mulled wine with or without alcohol. In Denmark roasted pork and goose/duck are served on the Christmas Eve. This main dish is accompanied by potatoes and red cabbage. A special kind of rice pudding is served at the end. This will have a hidden almond in it and the person who gets the almond is rewarded. It is considered to be lucky. 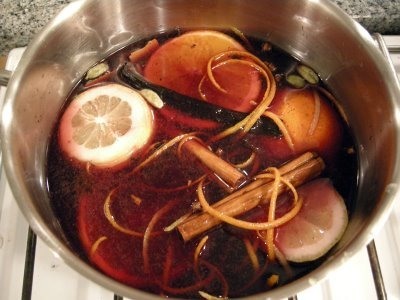 A special Christmas drink called Gløgg is very popular in Denmark. Apart from this, a special Christmas beer with high alcohol content is brewed. In Netherlands, a special called ‘Gourmet’ is followed. Here the guests are allowed to cook and garnish their own dishes over a ‘gourmet –set’. 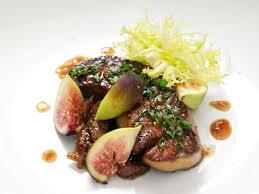 The host will prepare vegetable salads different types of meats and sea-foods. This is taken with copious quantities of salads, fruits and sauces. They also enjoy roasted beef, pheasant, turkey, duck with potatoes and other vegetables. In the UK, the main dish is always, roasted turkey, goose or a duck. Ham or pork is also served in rare cases. This is accompanied by steamed or boiled potatoes, Brussels sprouts, cranberry sauce and plum pudding. 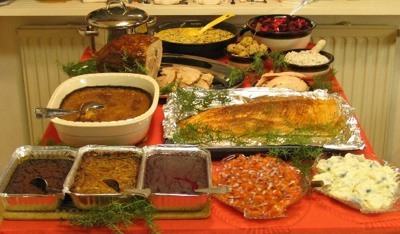 In the US, the Christmas dinner dishes differ greatly from locality to locality. 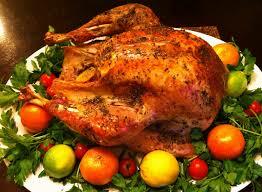 All the same, roasted turkey is the main course almost everywhere. This is accompanied by a variety of other meat dished like pork, ham, beef etc and several varieties of vegetables. When it comes to dessert, a great variety exists. There are mince pie, pumpkin pie, fruit cake, apple pie, marzipan carrot cake etc. In New Zealand, Christmas dinner contains almost all the dishes of UK. That means they eat roast turkey and roasted vegetables like potatoes, Brussels sprouts etc. as goose is not reared in New Zealand, this item is absent from the Christmas table. 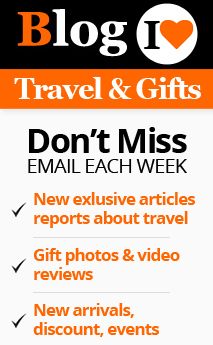 Otherwise, cranberry sauce, plum pudding and other desserts are very much present. 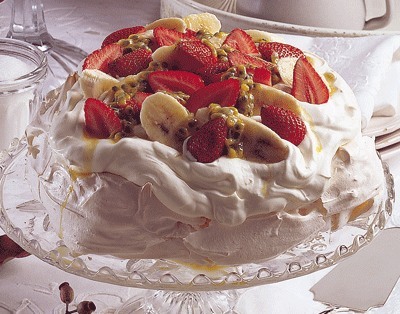 A typical New Zealand meringue called ‘Pavlova’ is served for Christmas. As it is the summer season in the southern hemisphere, New Zealanders enjoy a barbecue party and a variety of summer fruits during Christmas season. On the Christmas Eve, the family gets together to enjoy a fabulous Christmas dinner. The main course is roasted turkey stuffed with minced beef and peanuts. Roast potatoes and apple sauce are also served. Many kinds of fruits also find a place on the Christmas table in Peru. The drink is thick hot chocolate. At midnight the family joins in a toast and the members hug and wish each other good luck. The Infant Jesus figurine is placed in the nativity crib at this time.